The Top Gear GT86 has settled well into its role as the show’s Reasonably Fast Car, plastering a smile on the faces of all the celebrities who have dared to tackle the famous TG test track. But how do you get a Toyota GT86 ready for Top Gear? There are actually three cars – two manual and one automatic – all lovingly prepared by the team at Rogue Motorsport. Patrick Mortell, the man in charge, took some time out to talk to the Toyota Blog about how to get a GT86 ready for Top Gear. 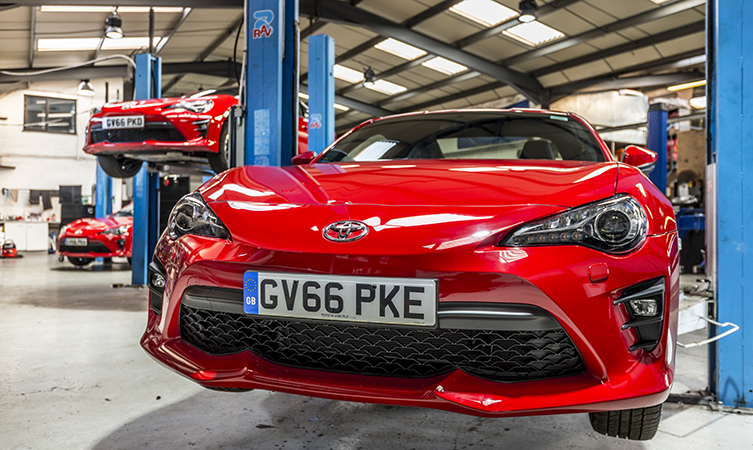 Blog: What changes did you make to the road-going GT86 in preparation for the track? Patrick: Our brief was to keep the cars as close to road-going as possible but with additional safety equipment tailored toward a track environment. We’ve installed a roll-cage, fixed back race seats and motorsport harnesses, and removed or disabled the airbag system. Blog: How much did you remove from the car? Patrick: We only removed what we needed to install the roll-cage. To allow the maximum amount of space for occupants the bars are tight to the chassis, which means that we had to remove some of the plastic trim and headlining. The stays that triangulate the main roll-over hoop also pass through the rear seats, so they had to come out, too! Blog: How long did it take to prepare the cars? Patrick: It took about a week for each car. The roll-cage is tightly tied to the chassis so every part of the cabin – carpets, dashboard, headlining, steering column – had to be removed. 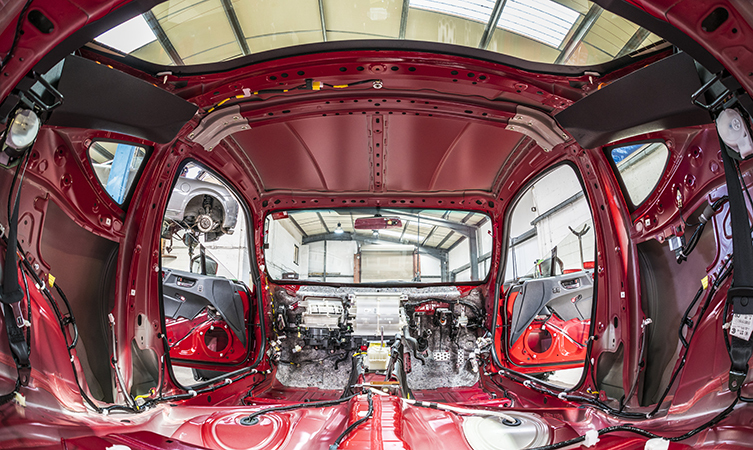 Areas where the roll-cage is welded to the chassis had to be cleaned of paint and seam sealer. The main hoop also sits above the fuel tank, so this had to be removed before welding, which in turn required the propshaft and exhaust system to be disconnected. After this, the roll-cage was trial-fitted before being installed for the final time. The dashboard and interior trim were then re-installed, though some areas required modification to provide clearance for the roll-cage. It’s a more involved process than it looks and requires a methodical approach and attention to detail. Blog: What do you reckon the stars are going to think? Patrick: I think they’re going to have a lot of fun. The GT86 is a true driver’s car; it’s very easy to drive fast and you can probably unlock 90% of its potential really quickly. It’s lightweight and balanced, responding to quick, precise inputs and providing excellent dynamic feedback. If they’re not used to sports cars they’re going to have their eyes opened. And if they are, I think they’re going to be surprised at the level of performance available. Blog: What do you think they might struggle with? Patrick: Finding that last ten percent! 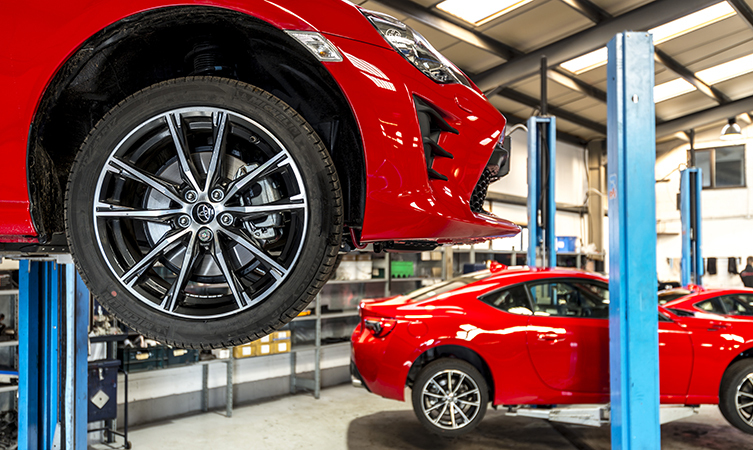 The GT86 is a true sports car, and as such will operate to the very limit of tyre adhesion. When you’re on that edge you’ll feel the car moving beneath you but still perfectly under control. Any further and you’ll drift, which looks good and makes you feel like a hero, but isn’t the fastest way around a track. Finding that balance is what it’s all about. Blog: How did you end up being responsible for preparing the cars? 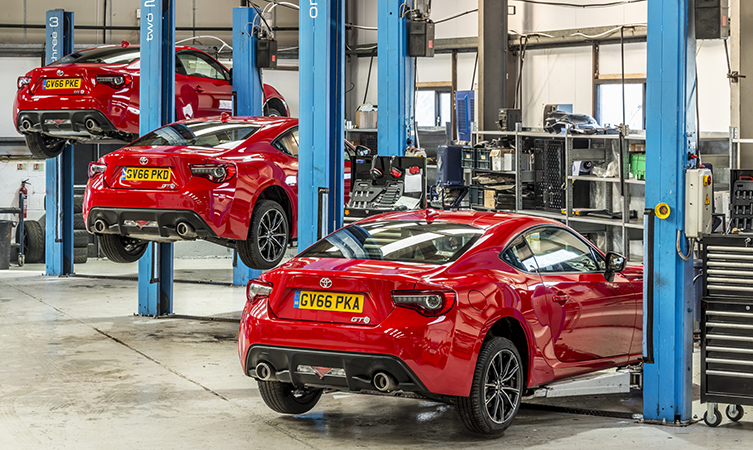 Patrick: I think we’re one of very few companies in the UK that have experience preparing GT86s to national or international competition standards. As well as our own race cars, we’ve also outfitted a number of facelift GT86s to a very similar standard for ice driving events in Norway. 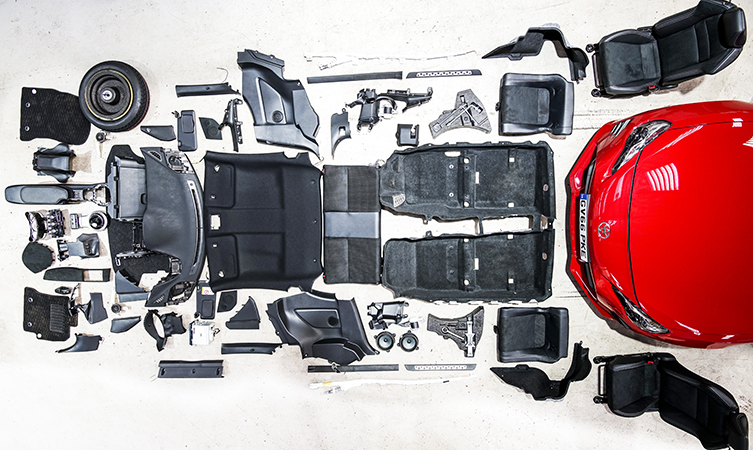 As a Toyota-focused motorsport specialist we knew we’d be involved in GT86 race car builds, so we commissioned a roll-cage expert to manufacture an MSA-certified kit to our specification. It offers as much protection and space to the driver as possible while at the same time passing cleanly through the dashboard with minimal modifications. Here’s Top Gear introducing the GT86 for the new slot in the show.